Voyles has spent the past 25 years working for the Smithsonian in various capacities. Photo by Libby Weiler. WASHINGTON, DC.- David Voyles has been named deputy director of the Smithsonian American Art Museum, effective Dec. 9. Voyles has spent the past 25 years working for the Smithsonian in various capacities, having served since 2011 as the highly respected director of the Office of Planning, Management and Budget. He takes over the role of deputy director from Rachel Allen, who retired after 45 years of service to the museum. 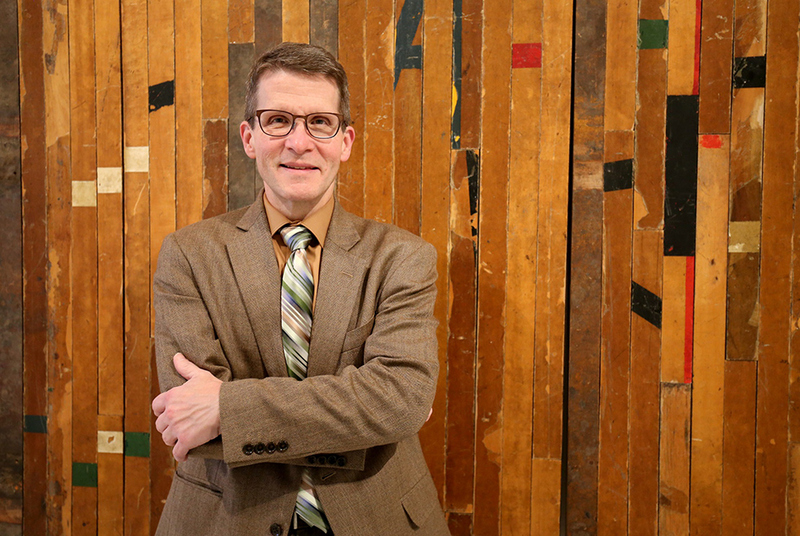 David brings significant experience and skill in financial management and strategic planning to his new role as SAAMs deputy director, said Stephanie Stebich, the Margaret and Terry Stent Director of the Smithsonian American Art Museum. His talents will strengthen SAAMs management excellence in support of our programs presented in two historically significant buildings in Washington, D.C., as well as our national programs." As director of the Smithsonians Office of Planning, Management and Budget, Voyles served as a key advisor to top management officials on resource planning and allocation matters and was responsible for formulating and executing federal and trust budgets throughout the Institution. He has been a tireless advocate for securing financial support for the Smithsonian from Congress. Voyles also managed all aspects of the Smithsonians central trust and campaign budgets, ensuring that funding sources were redirected appropriately and efficiently. His careful oversight of the Smithsonians comprehensive campaign budget contributed to its success, exceeding the $1.5 billion goal. Voyles also served as senior administrative officer for the Office of the Under Secretary for Finance and Administration (20102011), where he was responsible for the oversight of all administrative and financial functions for the Office of the Secretary, Offices of the Under Secretaries, and the Consortia. During his tenure, he led strategic-planning efforts for the organizations that reported to the Under Secretary for Finance and Administration, managed finance redesign efforts and served as building director for the Smithsonian Castle. Voyles earned a bachelors degree in English, history and psychology from The University of Tennessee. He has completed several Office of Personnel Management trainings, including auditor programming, federal investigations and management development.